Growing up in Singapore, this is a popular dish we have all eaten before. When we talk about Mee Siam, two different types come to mind, a soup based Mee Siam which is popular amongst the Malay community and can be commonly found almost anywhere, and the other version is the dry, sweet and sour, Nonya style Mee Siam. 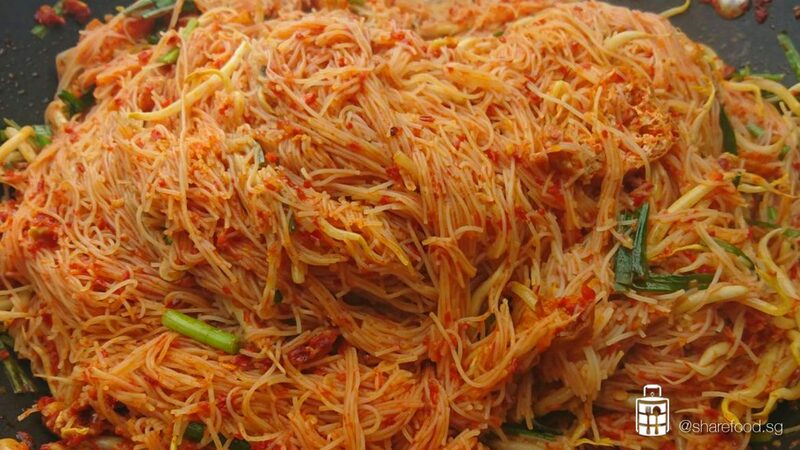 This week, home cook Sharon Tay is here to share with us her version of Nonya Dry Mee Siam recipe. Interestingly, the word "Mee Siam" stands for “Thai noodles” in Malay language. Due to the popularity of this dish, many have claimed origin of this dish and to date we are still unsure where it started exactly. 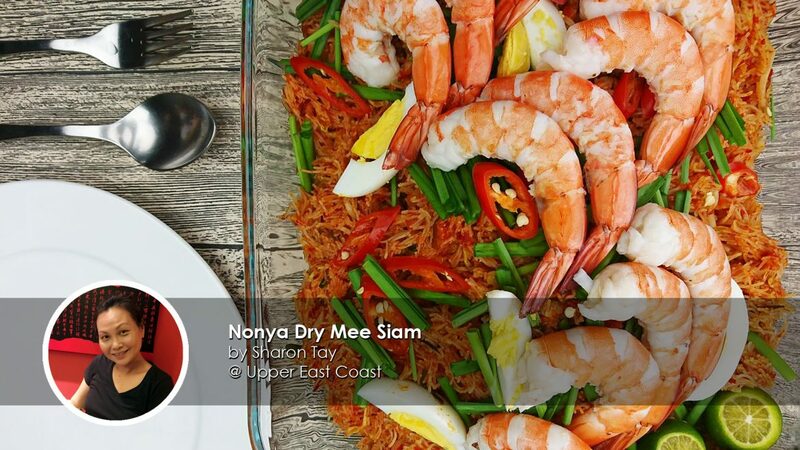 Although there are many variants of this dish, the Nonya Dry Mee Siam is still one of Sharon's favourites. Each bite will bring out the full-on explosions of wonderfully sweet and spicy flavours. So what are you waiting for? 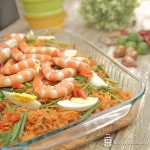 Full recipe of the Nonya Dry Mee Siam right below! In a bowl of room temperature water, soak Bee Hoon for 3 mins only. Remove from bowl and set aside. 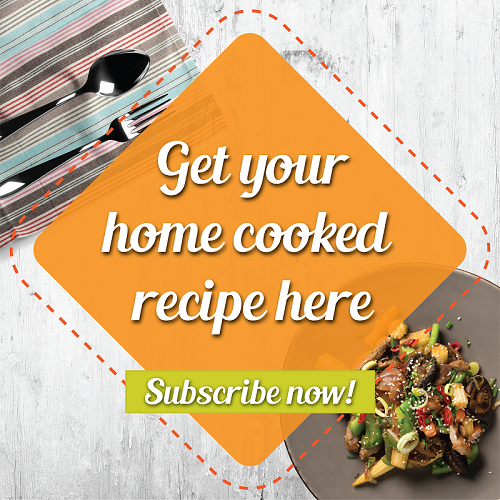 In a bowl with washed Assam, pour in 1.5L of warm water and let it soak for 15 mins. Squeeze the pulp until you achieve a thick juice. Drain and set aside. In a heated wok with 100g oil, fry the chilli paste on low heat for about 8 minutes till fragrant and oil starts to seep out. Add in tau cheo, sugar and salt. Add in Bee Hoon and give it a good mix with the rempah. Add in enough assam water to cover the bee hoon. Give it a good mix and cover with lid. Bring to high heat and boil the noodle for 4 mins till the bee hoon absorbs the liquid and it soft. Add more Assam water, if needed. Add in more sugar and salt, as desired. Place the bee hoon in a big serving bowl, garnish with egg, prawns, chives, chilli and lime. Serve immediately. Recipe adapted from Sharon Tay @ Upper East Coast RoadThinking of what’s cooking next door?